Robert W. Preucel is Associate Professor of Anthropology and Associate Curator of North American Archaeology at the University of Pennsylvania. He has taught previously at Southern Illinois University and Harvard University and has been a Visiting Professor at the University of Cambridge. He is co-editor of Contemporary Archaeology in Theory (with Ian Hodder, Blackwell 1996). Part I. Signs of Meaning. 2. Saussure and his Legacy. The Life of the Sign. Part II: Aspects of a Semiotic Archaeology. 5. Structuralism and Processal Archaeology. A Brief History of Processual Archaeology. 6. 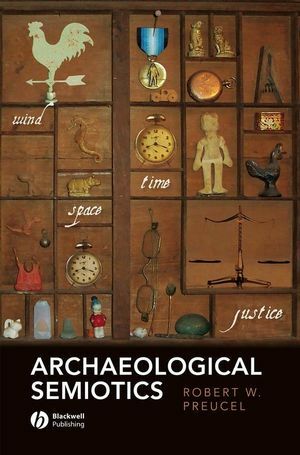 Poststructuralism and Postprocessual Archaeologies. A Brief History of Postprocessual Archaeologies. 7. Cognitive Science and Cognitive Archaeology. A Brief History of Cognitive Archaeology. Part III: Archaeological Case Studies. 8. Brook Farm and Architecture of Utopia. The Brook Farm Historical Site. Semiotic Ideologies of Social Reform. 9. In the Aftermath of the Pueblo Revolt. “Living in Accord with the Laws of the Ancestors”. Social Dynamics at Kotyiti Pueblo. 10. Material Meanings in Practice. Explores the many ways in which archaeologists give meaning to the past.